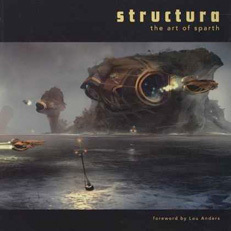 Structura: The Art of Sparth is a collection of his personal artwork. Sparth has been an active artistic director and concept designer for the gaming industry for over ten years. 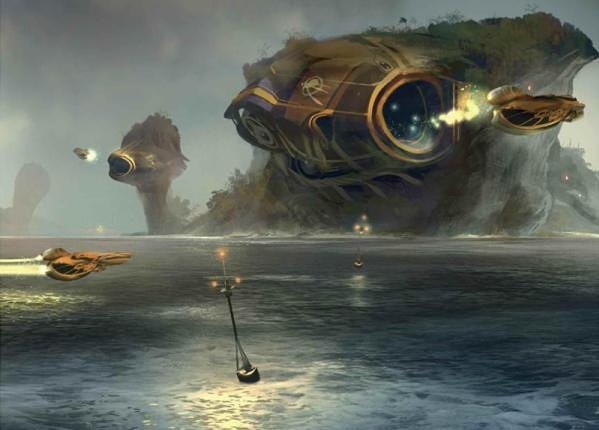 Currently with idsoftware in Texas, a renowned leader in the gaming world with such titles as Wolfenstein 3D, Doom I and II, and Quake I and II, Sparth has been integral in designing the games that the video game enthusiasts of today devour. In both his professional and personal work, there are no limits to Sparths creativity when it comes to translating forms and concepts with an creativity when it comes to translating forms and concepts with an experimental and original approach. Born in France and having traveled the globe extensively, he was influenced greatly by the various world cultures he encountered, and this is largely responsible for his multiple creative passions, which range from space to architecture, robotics and beyond.